Welcome to Curly Tale Books. 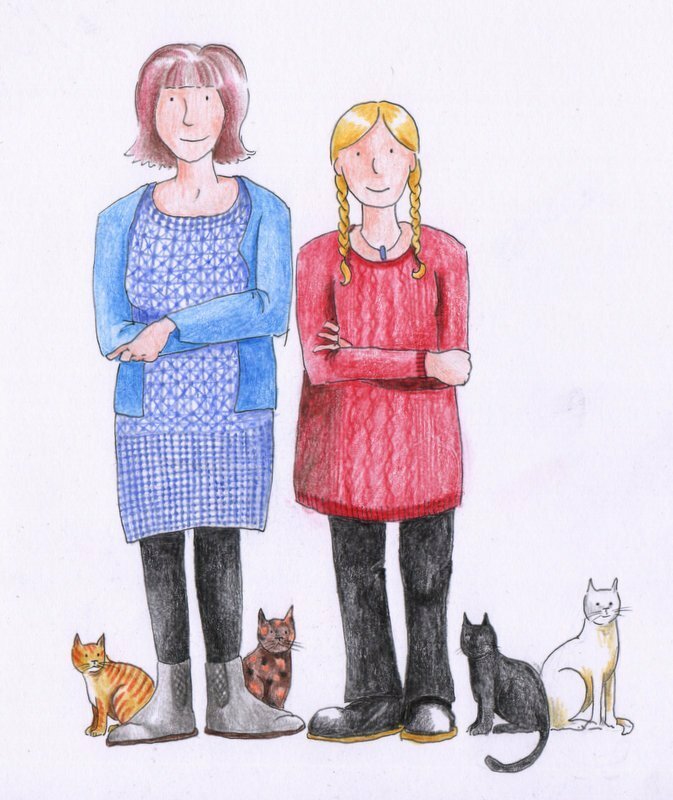 We are a (quite) new (quite) small independent publishing company specialising in children’s books and in November 2015 we also took over a real bookshop in Wigtown, Scotland’s National Booktown. Curly Tale Books Ltd is the initiative of writer Jayne Baldwin and author and illustrator Shalla Gray. The company began in May 2013 in a small village in glorious Galloway in South West Scotland, not far from Wigtown. We were both published authors but we decided to go into business for ourselves as we are just bursting with ideas. In fact we have so many great stories in the pipeline that Curly Tale Books will not be accepting any unsolicited submissions at the moment. We have now published ten books ‘The Quite Big Rock‘ the first book for young children written by comic book legend Alan Grant, ‘Big Bill the Beltie Bull’, ‘Big Bill’s Beltie Bairns’, ‘The Galloway Chilli’, ‘Maxwell’s Mega Mission’, a new bigger and better edition of Shalla’s first book ‘Charlotte’s Woolly Yarn’ and the second book by Alan Grant – Sammy the Rainbow Snail! In the summer of 2016 we published the third book in our Beltie series featuring Big Bill, Bertie and Buntie and some silly sheep related to Charlotte in a story called Big Bill and the Larking Lambs. We’re very proud to have published a beautiful picture book in the Scots language, Nip Nebs by Susi Briggs and Ruthie Redden and a wonderful tale by traditional storyteller Sandy McKnight called Wheedleneeps, with illustrations by Shalla Gray. In the summer of 2019 we will be launching ‘Mustard and Pepper‘ by Alasdair Hutton and Will Gorman followed in the autumn by ‘Strange Visitor‘ by Renita Boyle and Mike Abel. Have a look at our growing list of stockists to find one near you or remember you can order direct from our shop on this website. Our books can also be ordered from any bookseller – independent or online. We are now distributed by Lomond Books and Bookspeed. We are members of Publishing Scotland, The Booksellers Association and the Federation of Small Businesses. We’re also very proud to be supporters of the Galloway and Southern Ayrshire Biosphere.